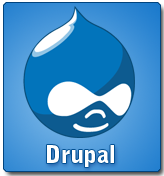 One of the first questions I am asked when I start talking about Drupal is "Who uses this system anyway"? I started off as a web designer/developer creating websites and writing code to add functionality for my customers. As my clients became more sophisticated, they asked for more advanced functionality. Often the features they wanted added more than they expected to both the timeline and budget. Based on these requests from my customer I began researching various options and it quickly became obvious that a content management system would be the best tool to serve my customers.